Despite its towering landmass and relatively sparse population, the Nordic countries have always been known for providing world-leading telecommunications services to its citizens; in mobile networking, there’s no exception. Nordic countries routinely set world standards for cheap access to mobile data, and with the advent of LTE-Advanced technology, easy access to high-speed internet is more ubiquitous than ever. However, the quality, cost, and utilization of mobile networks still varies significantly. 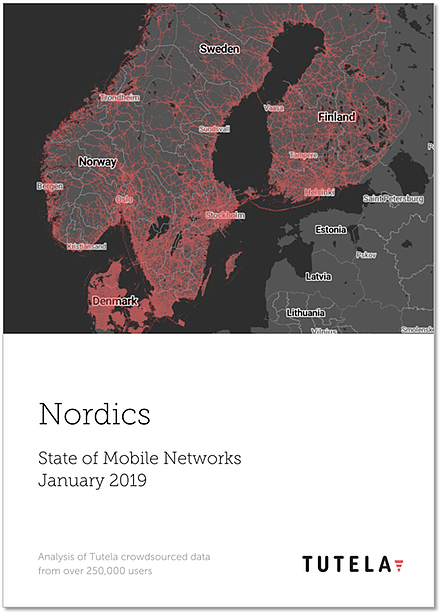 In this report, Tutela has analyzed over 14 billion measurements to provide insight into the mobile experience delivered in the region across all major operators in the mainland Nordic countries (excluding Iceland).